Portable fuel containers, commonly known as gas cans, are designed and manufactured under strict specifications set by the U. S. Environmental Protection Agency (EPA). The current EPA requirements have been in effect since 2009 and include design features that minimize air pollution and improve safety. 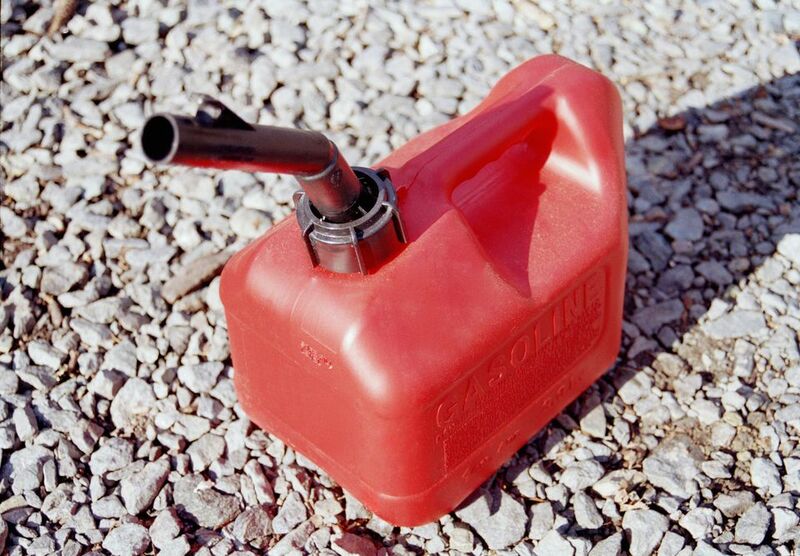 What Is a Portable Fuel Container? A portable fuel container (PFC) is a receptacle specifically designed to hold small amounts of liquid fuel. The containers can range in size from 1 quart to 5 gallons or more. They are commonly used by homeowners to store fuel for lawn mowers, snow blowers, and other small-engine equipment. The EPA estimates that there are about 80 million PFCs in use in the United States. Red containers are intended for gasoline and other highly flammable liquids. Blue containers are used for storing kerosene. Yellow containers are used for diesel fuel. Green containers typically are designed for storing oil. The current EPA regulations are based on requirements started in California by the California Air Resources Board (CARB) in 2000 and were updated in 2007. At that time, regulation of PFC design and manufacture was controlled by individual states, but that changed with the current EPA standards. As of January 1, 2009, all new PFCs produced and sold in the United States must be compliant with the EPA regulations. At the time the current regulations went into effect, there were an estimated 3.27 billion gallons of fuel dispensed by over 80 million PFCs in the United States. This resulted in an estimated 70,262 gallons of spilled fuel annually. The danger of spilled or evaporated fuels comes in the form of volatile organic compounds (VOCs) that escape into the atmosphere whenever gas leaves a container. The current regulations focus on the ability of VOCs to permeate through the material and fittings of the container as well as emissions released when pouring out fuel or when container caps are left off or left open during storage. VOCs are considered a greenhouse gas, and their release can also contaminate groundwater. Childproof features on PFCs are intended to prevent access to fuels by children under age 5. These requirements are part of the Children's Gasoline Burn Prevention Act enacted by Congress in 2008. It is legal to continue to use old PFCs that don't conform to the current EPA guidelines, but switching to a new compliant container offers improved safety and reduced potential for environmental damage. The new regulations apply only to new containers, and there are no requirements for homeowners to replace old containers. However, some municipalities have exchange programs in place where you can swap your old PFCs for new, compliant version. Note: The current PFC regulations do not apply to OSHA-approved metal safety containers, which are mainly used in commercial applications.